Why You Absolutely Need SSL! Does your business need SSL? The short answer is yes. Absolutely yes. But let’s break it down. SSL stands for Secure Sockets Layer and basically it ensures that all data passed between the web server and browser remains private. If a website does not have SSL certification, then hackers can easily capture your information. This isn’t something that just happens in movies, it’s very real. Sometime in 2018, Google is going to start flagging websites that do not have SSL certification. Users will able to see “Not Secure” in the URL bar. Online security is important for all users, especially for online shoppers. Users will not want to continue browsing on a site that is not secure. So not only will your lose sales, your business will also lose credibility. How can I tell if my website has SSL? Websites with SSL will have a URL that says “https://” and not “http:” In addition, on the left hand side of the URL, you will see a lock icon with the words “Secure”. 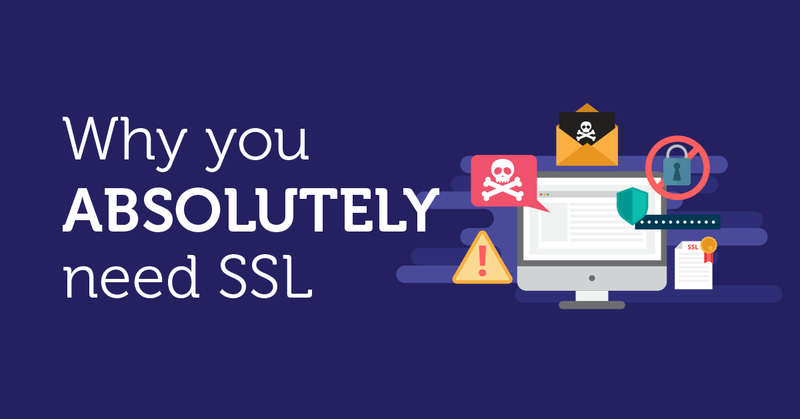 Read this blog post to see which kind of SSL certificate is best for your business. Before Google flags your website, secure it today with SSL! Need help with website security or even website optimization? Contact our team of experts today!